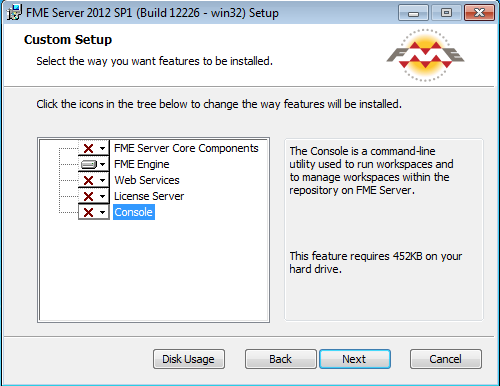 Note: In FME Server 2014 SP1 release and below , the "FME Server Engines" service was named "FME Service". You have an existing system with a full FME Server installation. You are now installing FME Engines on a separate server to support your distributed environment. 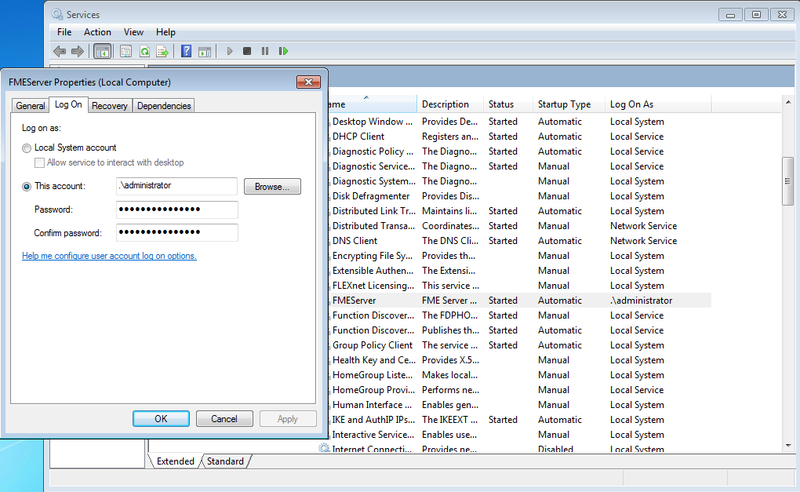 On this other system using the full FME Server installer you install only the FME Engines option. This is likely caused by permission issues where the remote system is trying to access the FME Server Core system and write files. The system where you've just installed the FME Engines has created the new FME Server Engines Service but this is running under a "Local System" account and does not have permission on the FME Server Core system. Change the user for the FME Server Engines Service, using an account that has access to the FME Server Core system. You should now be able to Start the FME Server Engines Service . If the above resolution doesn't resolve the startup problem for the FME Server Engines Service, try running the batch file called "startProcessMonitor.bat' located in <InstallFolder>\Server. This will start FME Server Engines Service as the logged in user. If this works then this still suggests a permission issue and you should look at trying other user accounts or confirm the permissions being used are setup correctly on the FME Server Core system.